meet our new kitten. 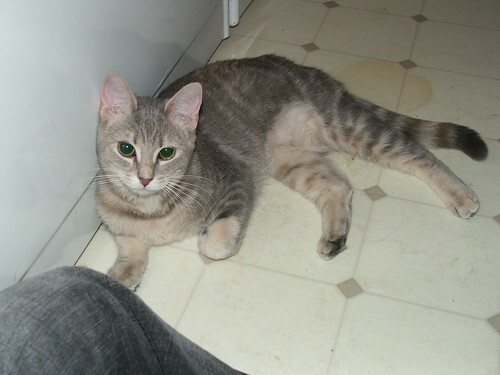 she's a six-month-old blue tabby. we're calling her lily. we just adopted her last night and she's still a bit shy, but she's also adorable.